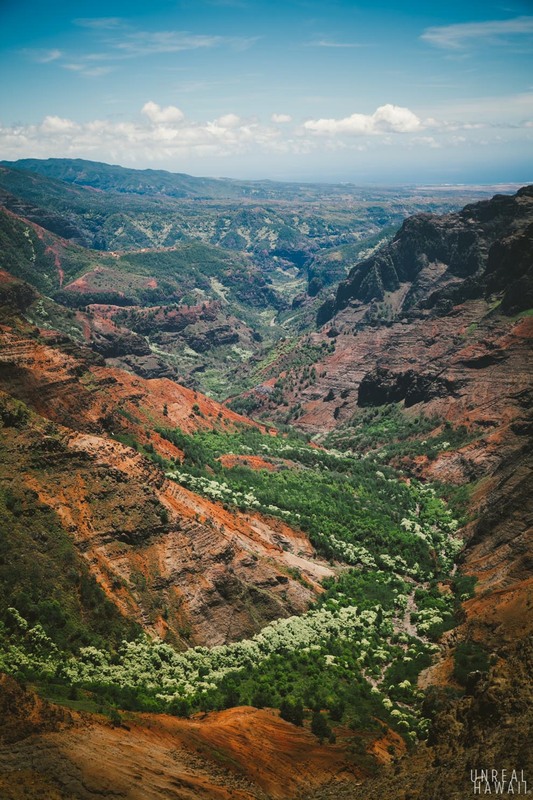 This is Waimea Canyon on Kauai. And this is Kalalau Valley, Kauai. 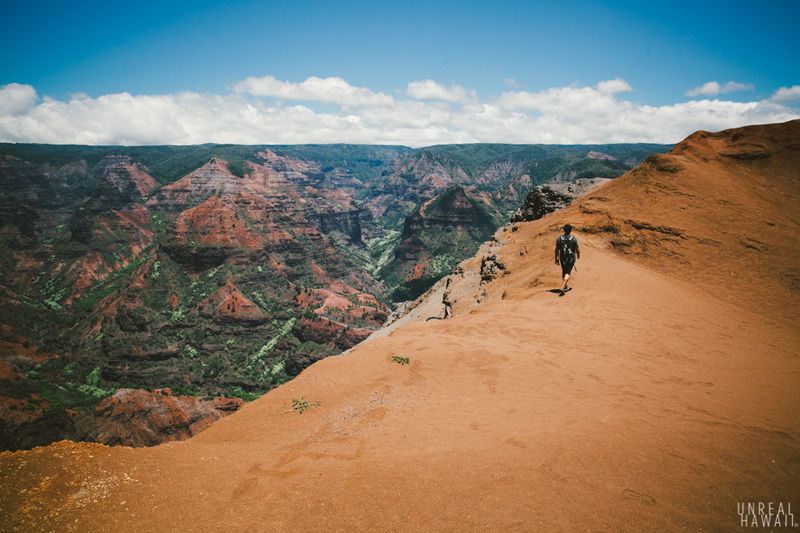 If you find yourself on the island of Kauai, first off, lucky you. 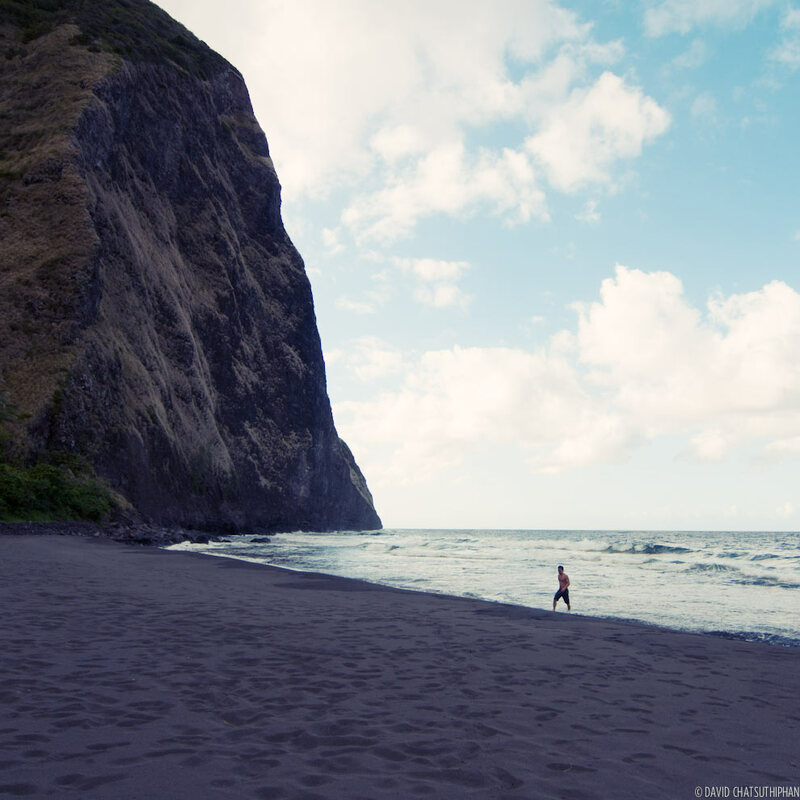 And secondly, I hope you’re able to spend a day in Koke’e State Park. Koke’e State Park is located in northwestern Kauai. You can come out to the park to camp or just do a day hike. 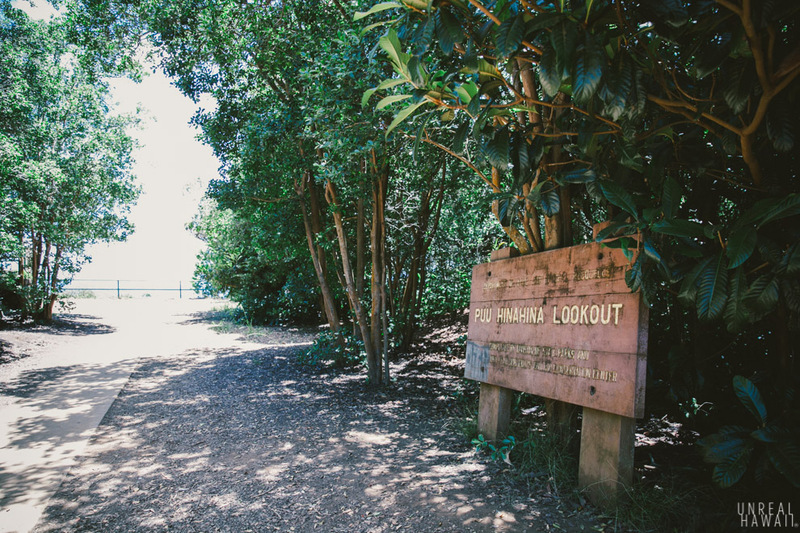 There are several trails to choose from (you can find a trail map on the Koke’e State Park page on HawaiiStateParks.org). 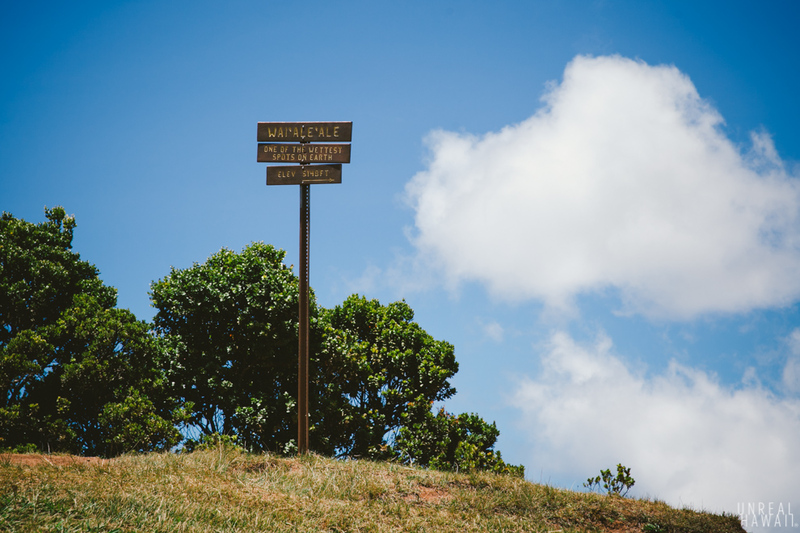 Koke’e State Park is at about 3,600 feet elevation and you’ll drive up a windy (but well maintained) road to get there. Near the top there are four lookouts you can stop at. 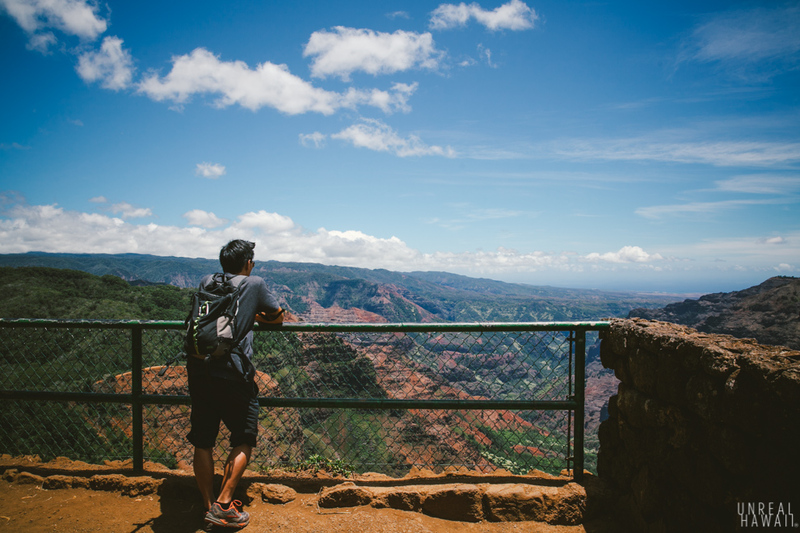 These lookouts offer an easy way to get panoramic views of two of Kauai’s treasures: Waimea Canyon and Kalalau Valley. 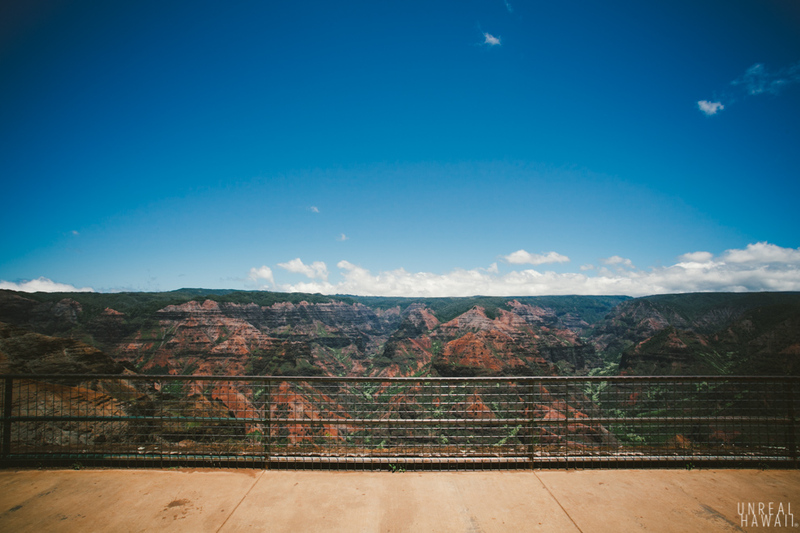 The first lookout you come across when you drive to Koke’e State Park is Waimea Canyon Lookout. It’s just past the 10 Mile marker on Kokee Rd (Hwy 550). There’s a big ol’ parking lot so you can’t miss it. 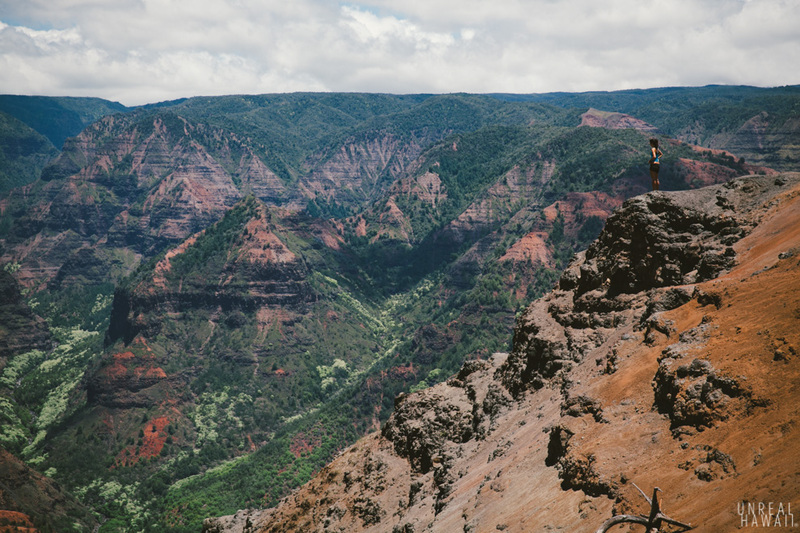 There are actually several lookouts for Waimea Canyon. 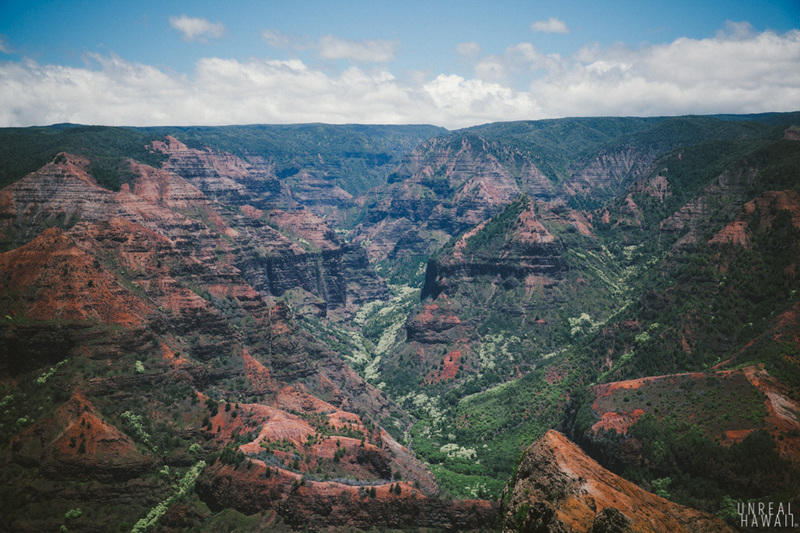 Most of the little turnouts along the road past the 10 Mile marker offer some sort view of Waimea Canyon. But this first one has a large concrete viewing area and offers a head-on view of the canyon. 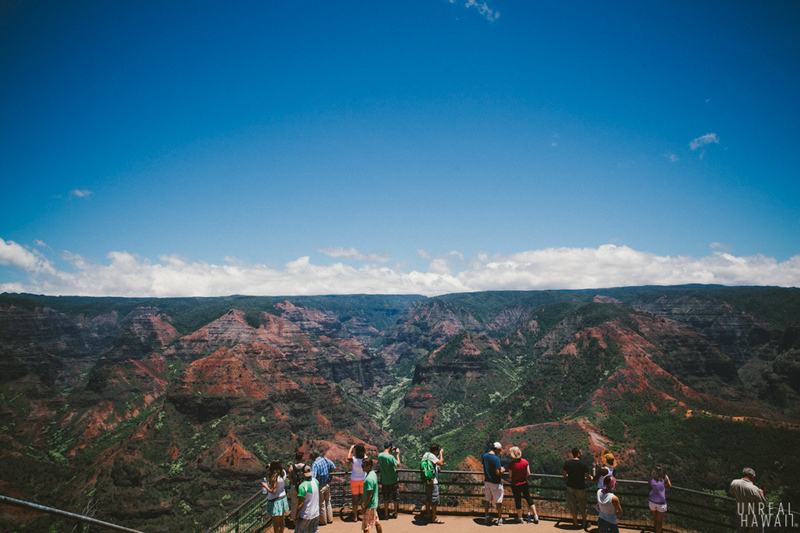 This is the lookout where you can get those wide panoramic views of Waimea Canyon. But, the trade-off is that there will probably be a bunch of people in your shot. Of course, that’s not always a bad thing as including people in the photo helps show scale. We decided to find a more unobstructed view of canyon. We made our way to the left of the viewing platform. The dirt here is loose and there are steep drop offs into the canyon below. Since we had hiking shoes on we figured we would check it out. From here we could soak in the expansive views without having to peer over heads or take photos for people. 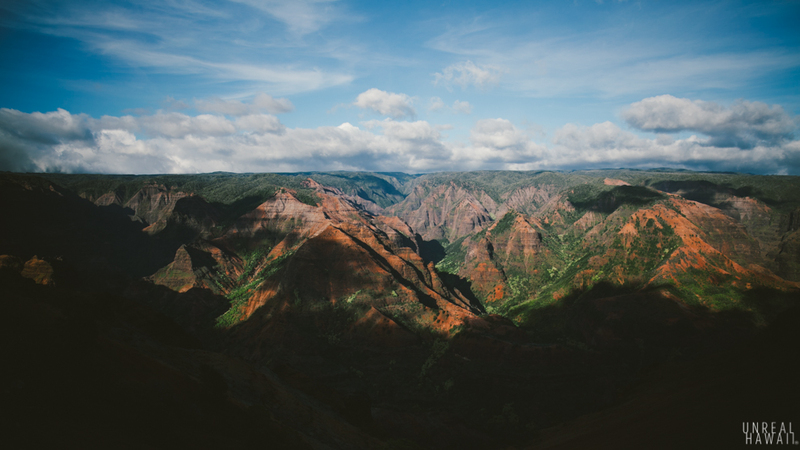 This was my first time ever seeing Waimea Canyon but we didn’t linger long. 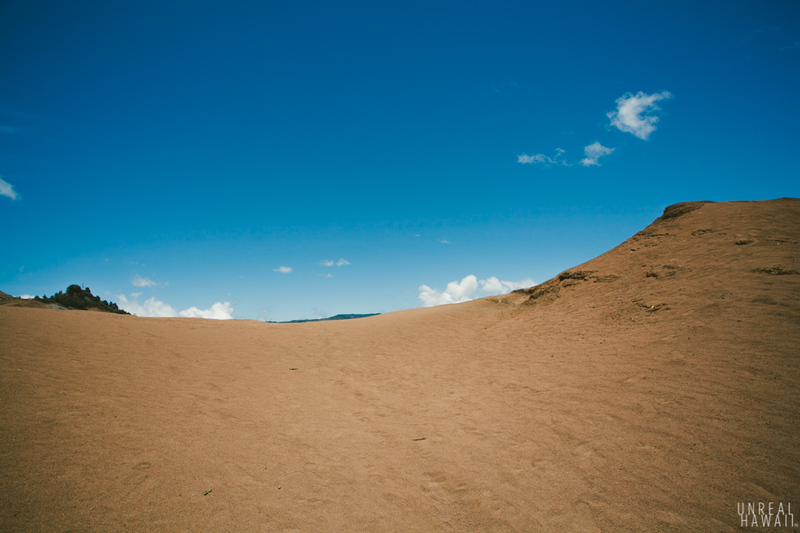 We had a full agenda for the day in Koke’e State Park so we had to keep moving. Our next stop was Pu’u Hinahina Lookout. This one is at the 13 Mile marker. This is a smaller lookout but the view is unreal. 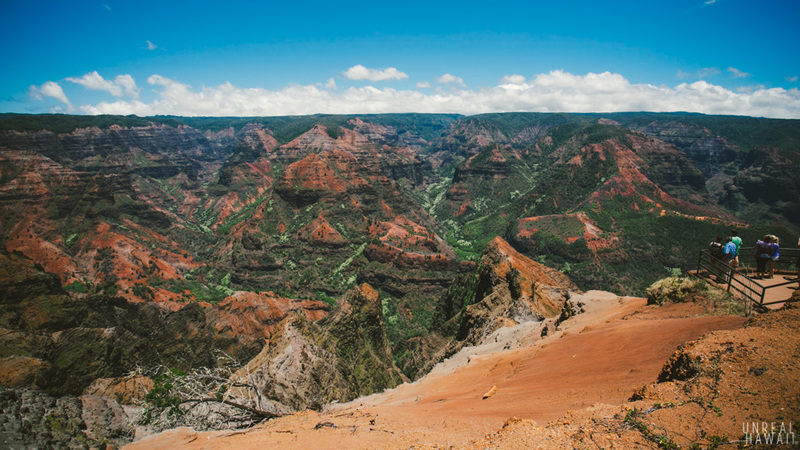 The Pu’u Hinahina Lookout offers a cross-section view of Waimea Canyon and you can see the 3,500 feet deep canyon wind its way towards the ocean. There’s a ton of hiking and backpacking you can do inside the canyon. 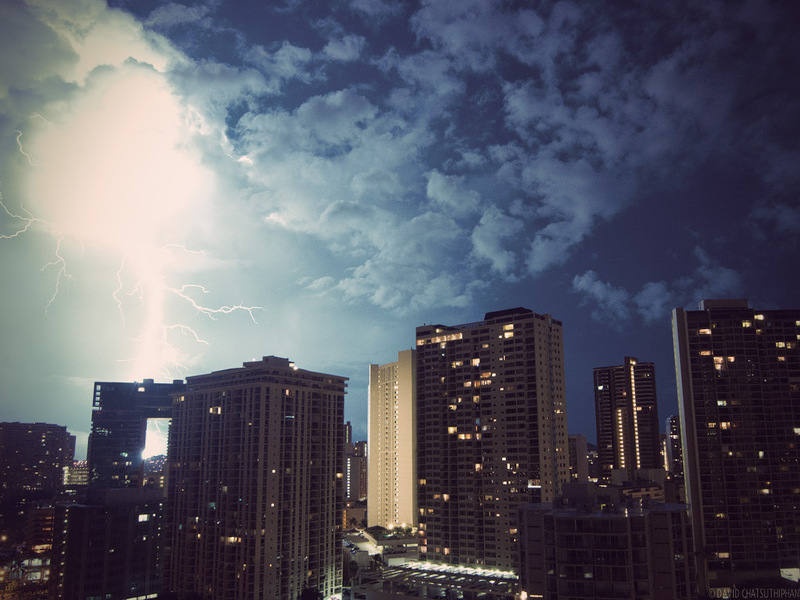 I hope to explore it one day. 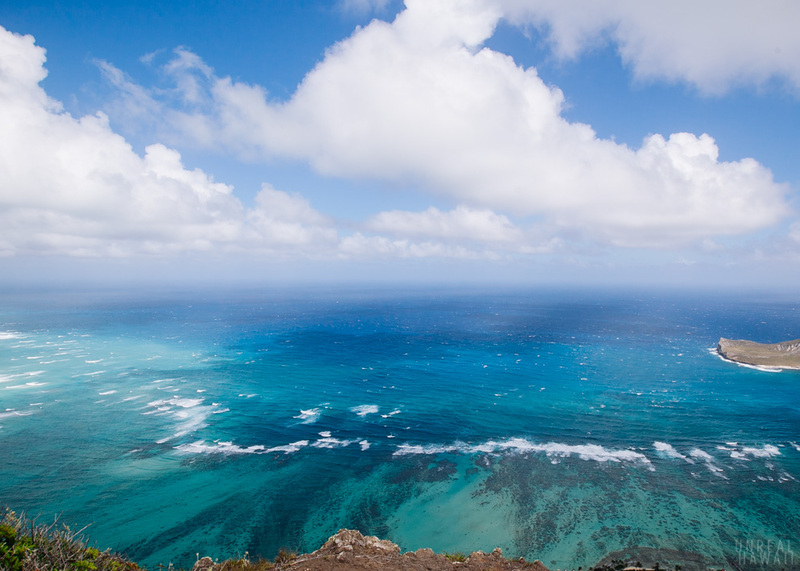 At the Pu’u Hinahina Lookout you’ll find a small platform that looks out towards Nihau. 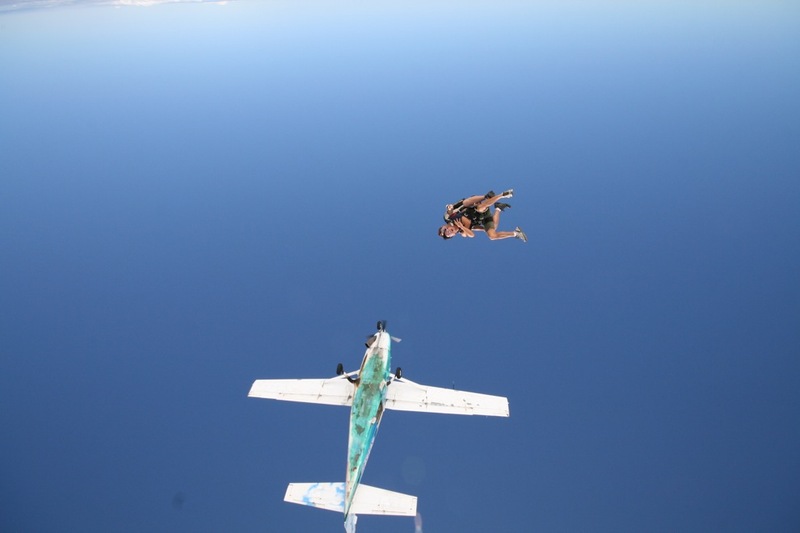 Nihau is the seventh largest island (or second smallest) and is populated by only about 170 people. 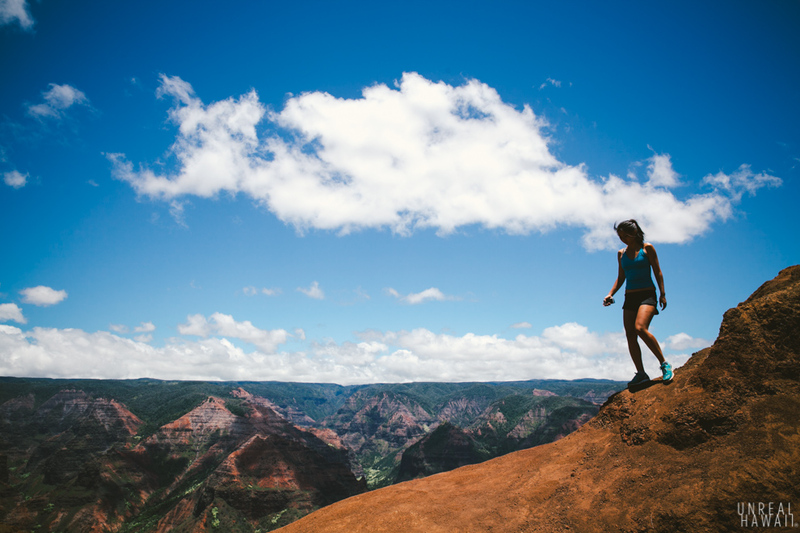 At around the 18 Mile marker you’ll find the Kalalau Lookout. 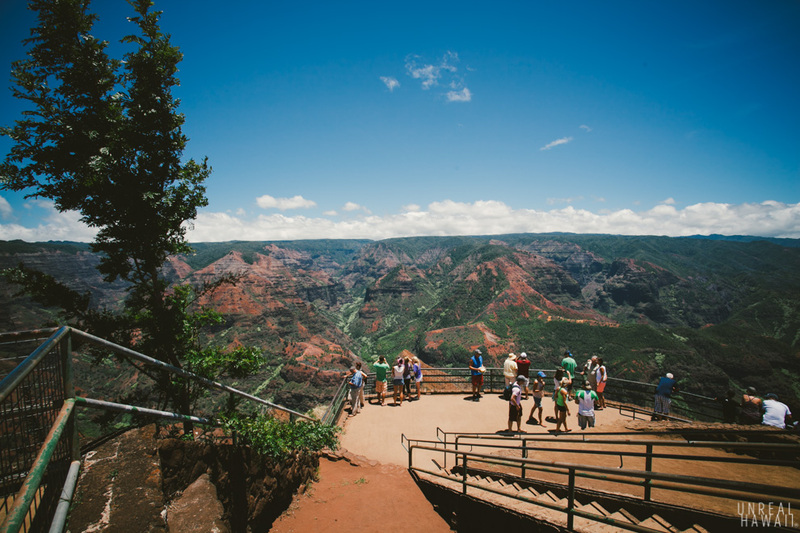 There is an impressive sign here that says “Kalalau Lookout.” There is also a railing. 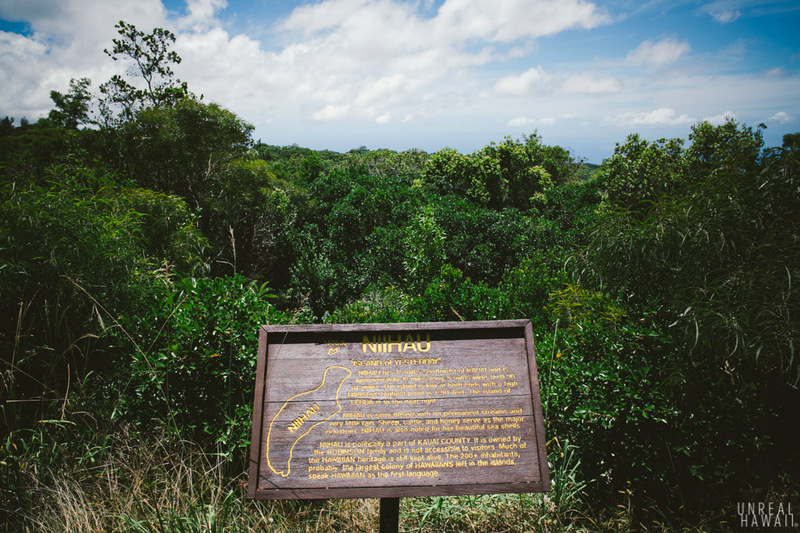 You can stop here to catch the view if you want, but if you drive up Koke’e Road a little bit further, the road ends at another lookout. That one is where it’s at. 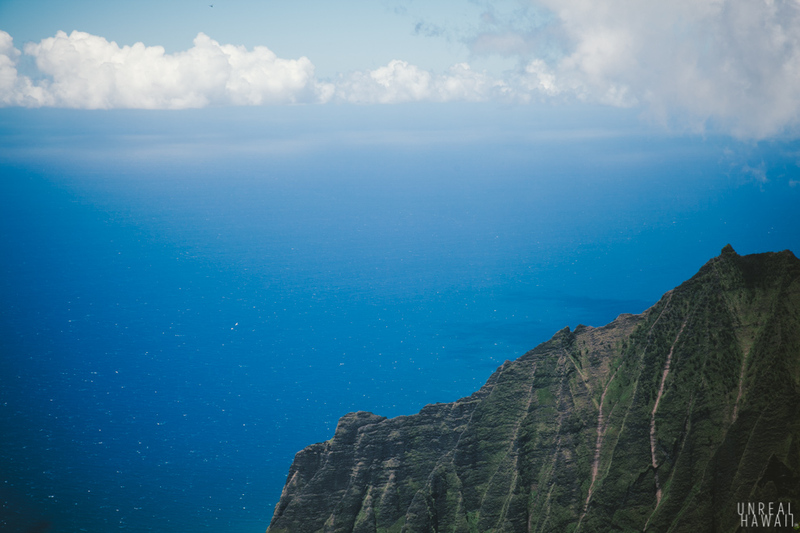 I took one photo of the view at Kalalau Lookout. 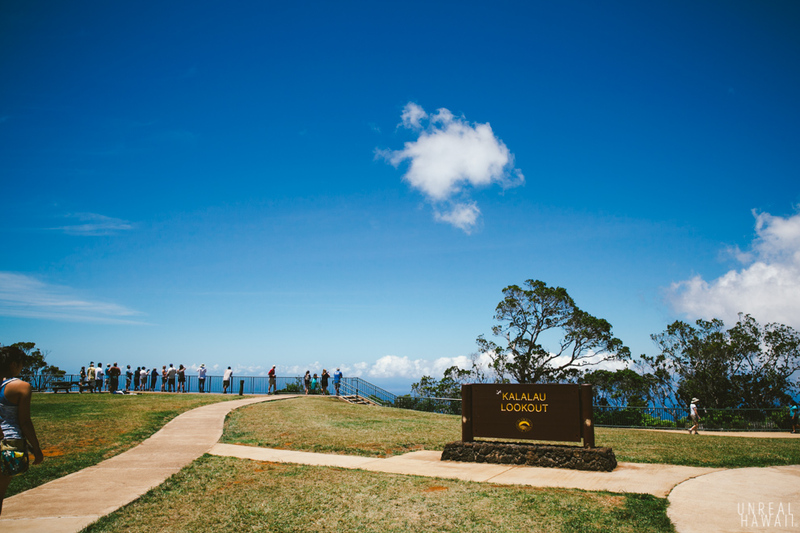 The Pu’u O Kila Lookout is just a mile up the road from the Kalalau Lookout. 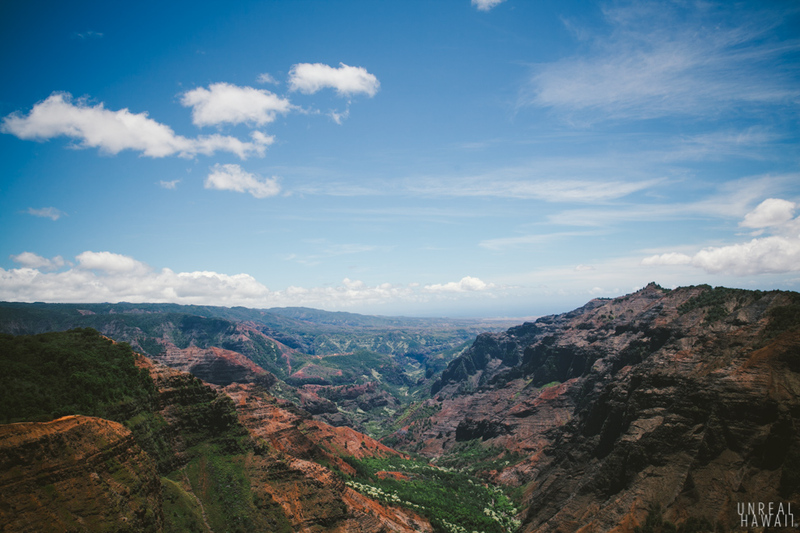 You’re at a higher elevation here and you get a better view of the famous Kalalau Valley from this spot. 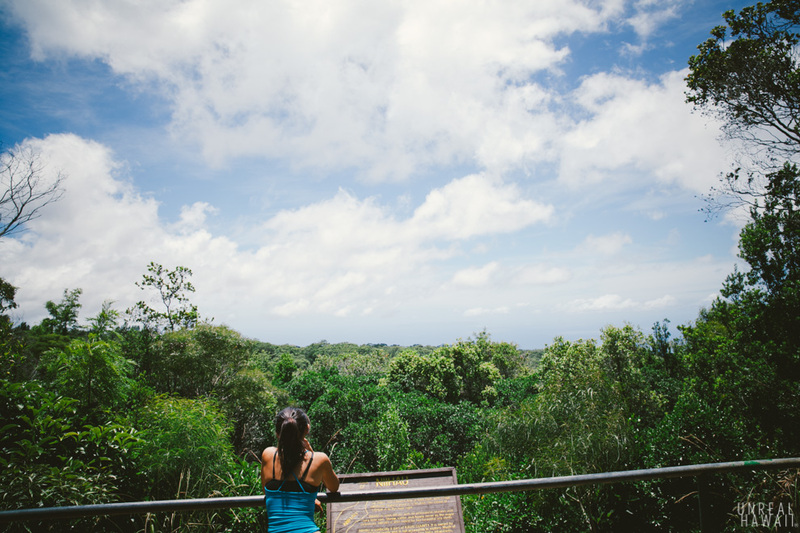 There’s much more to explore at the Pu’u O Kila Lookout. You can hike down this ridge to see different views. 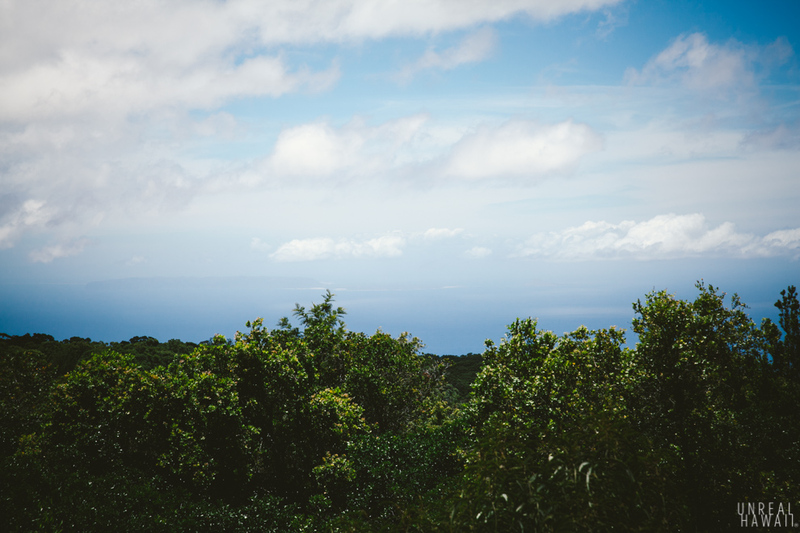 You can also hike the Pihea Trail. 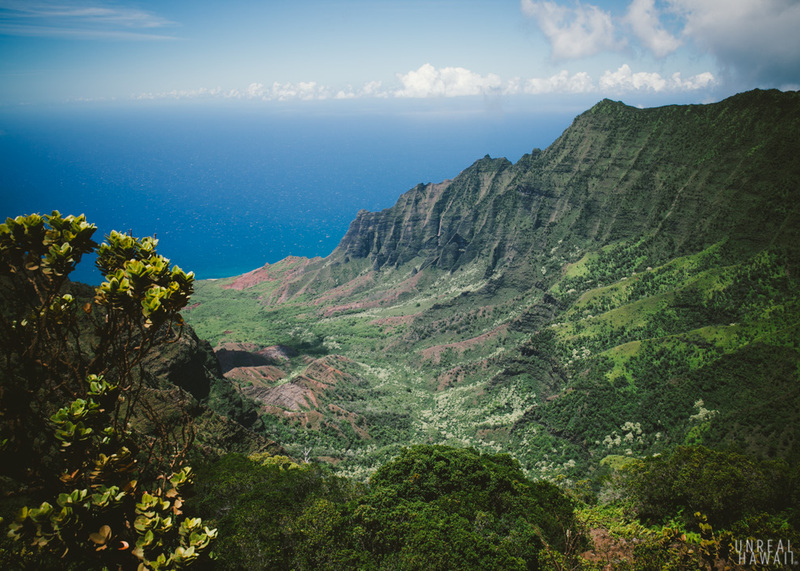 But we came to see this view of Kauai’s Kalalau Valley. 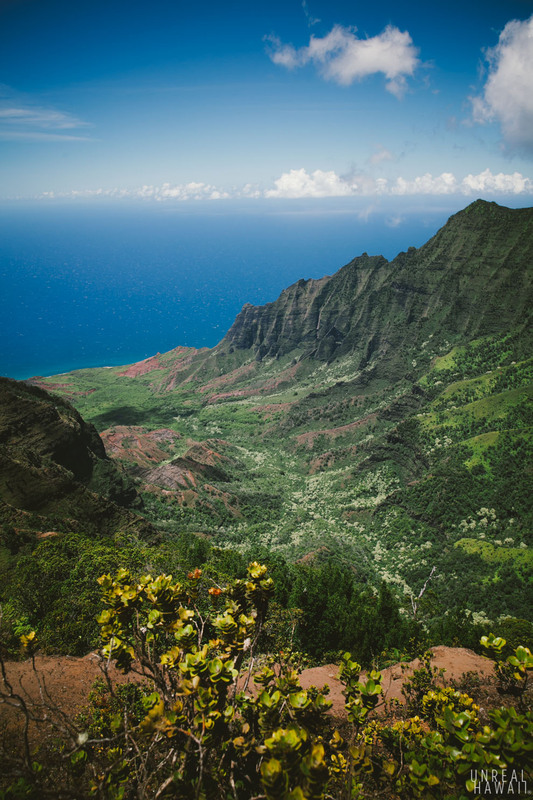 I’ve backpacked into this valley via the Kalalau Trail and it was a treat to see the valley from above. 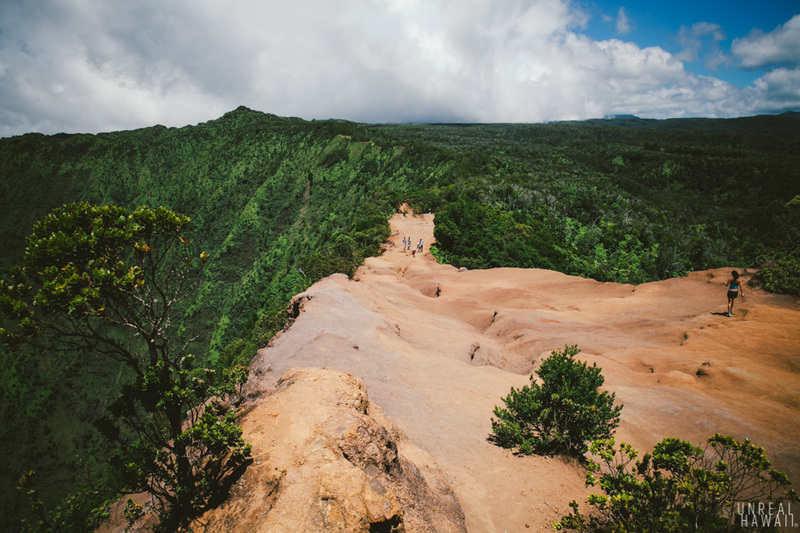 After we visited the four main Koke’e State Park lookouts, we drove back down Koke’e Rd to the 17 Mile marker and started our main event for the day, a hike on the Awa’awapuhi Trail. 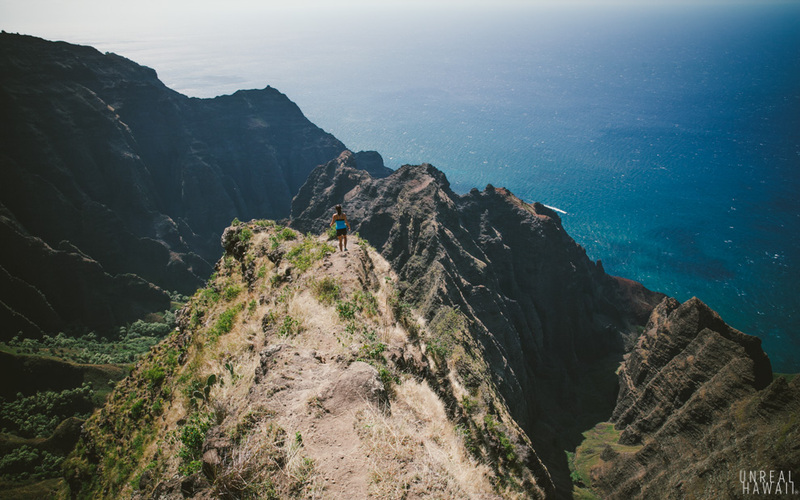 The Awa’awapuhi Trail is a 6-mile hike (round trip) that takes you to a view of the Na Pali Coast that blows away all the other views you saw on your drive up to Koke’e State Park. Of course, it’s much harder to see this view. You can’t just drive up to this one. 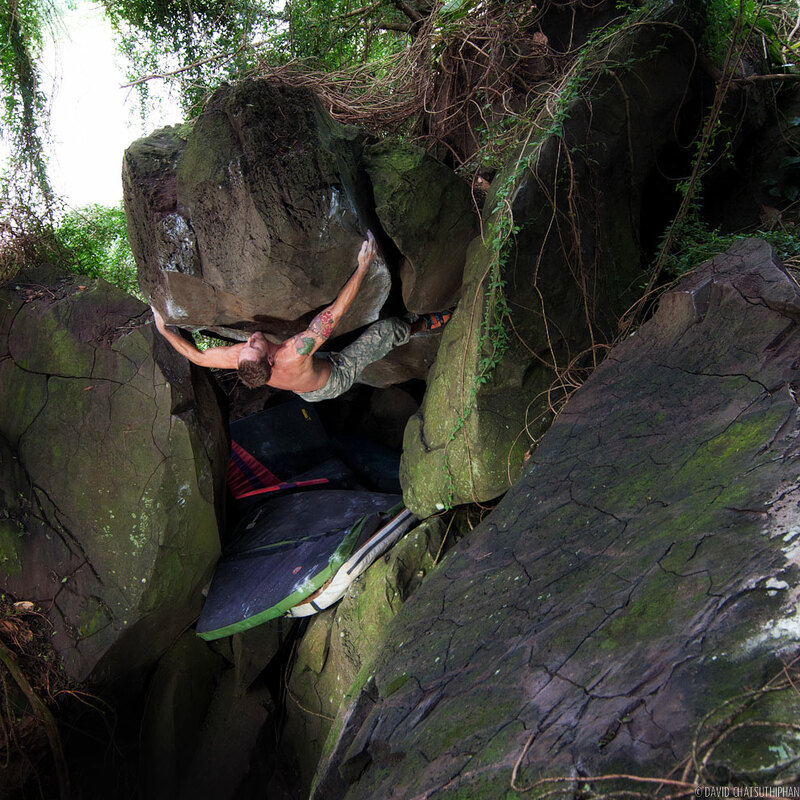 You’ll need to work for it. 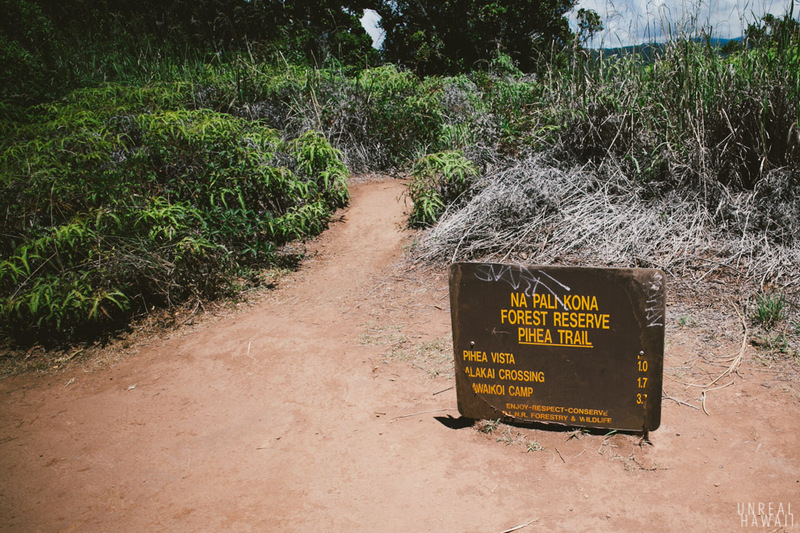 See the full story on Kauai’s Awa’awapuhi Trail.